On everyone's list of all-time favorite bridge books is Right Through the Pack by Robert Darvas and Norman Hart. Published just after the end of World War II, the book presents 52 tales using exquisite deals, one for each of the cards in the deck. 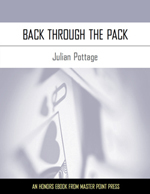 Now, decades later, Julian Pottage has collected 104 deals - two for each card in the pack. 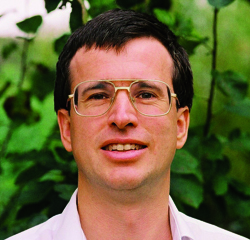 He presents each story through the eyes of the cards, paying homage to Darvas and Hart. Keeping the intermediate bridge player in mind, Pottage takes extra care to have the cards educate while entertaining the reader.